The prominent Brexiteer, who leads a group of Conservative backbenchers, has delivered a warning shot to the prime minister. Influential Tory MP Jacob Rees-Mogg has confessed to “doubts” about Theresa May and questioned whether the government really wants to leave the EU. The prominent Brexiteer, who is favourite to replace the prime minister, believes the government has been “weak” in preparing for Brexit and needs to show some “backbone” in negotiations with Brussels. The comments will serve as a warning shot to Mrs May over whether she can retain the support of a significant number of Leave-supporting Tory MPs. Mr Rees-Mogg serves as chair of the European Research Group (ERG) of backbench Conservatives, who are estimated to number about 60. In order to trigger a vote of confidence in a Conservative leader, 48 MPs are required to request one in letters to the party’s backbench 1922 committee. Emerging from an ERG meeting in parliament on Tuesday night, Tory Brexiteer Daniel Kawczynski said he felt “very despondent” about progress towards leaving the EU. Mr Rees-Mogg, the North East Somerset MP, voiced his anger at Mrs May’s suggestion of a revised “backstop” plan to keep the UK aligned with the EU’s customs union beyond 2020. This is proposed to avoid a hard border on the island of Ireland in the absence of other agreements between the UK and EU. Mr Rees-Mogg is also a critic of the prime minister’s plan for a “customs partnership” with the EU after Brexit, with the cabinet yet to decide whether to back that proposal or the alternative “maximum facilitation” model supported by Brexiteers. He admitted he is “very worried” that “the government’s words remain robust and its deeds become weak”. He added: “You’ve got to judge people, ultimately, by their actions rather than their words. Responding to Mr Rees-Mogg’s criticism, the prime minister’s official spokesman said: “We are making progress on securing a future relationship with the EU which will be in our interests and in the interests of the EU. 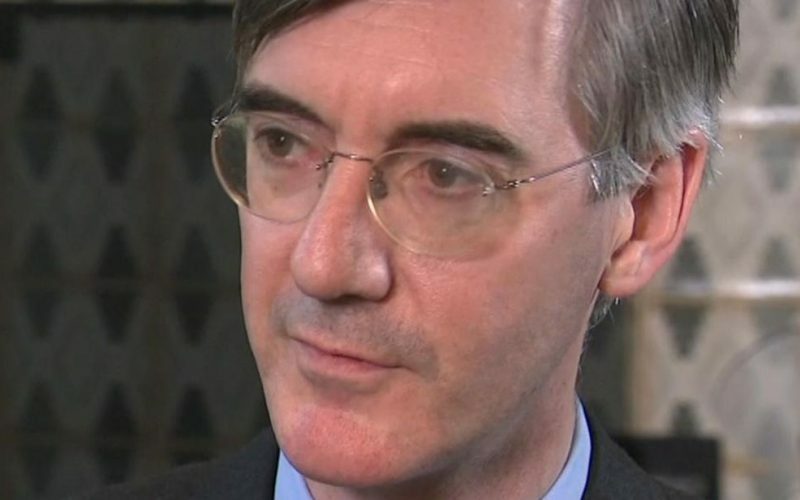 Mr Rees-Mogg’s comments appear to mark a departure from his previous view of the prime minister, who he recently declared he is a “great supporter of”.